For Join The Resolution with Vitacost I said I was going to take care of myself. To learn more about #JoinTheResolution check out my post from a couple of weeks ago What’s Your Resolution. Well, part of that involves meal prepping. Sundays tend to be the day I get all my ducks in a row for the work week. This means laundry, paying bills, going to the market and meal prepping. Why do I meal prep? Well this helps me stay on track during the week when life gets hectic. I usually make at least one entree and one side that the hubby and I can eat throughout the week for lunch. I also make my No Sugar Added Granola every Sunday to have on hand. The key to meal prepping is cooking VERSATILE items that you can use in a variety of ways so you don’t get sick of them during the week. I usually make a chicken dish and quinoa. I do this because chicken is so versatile. Once it’s cooked I can eat it as a whole breast, chop it up and make a sandwich, salad or throw it in a stir-fry. 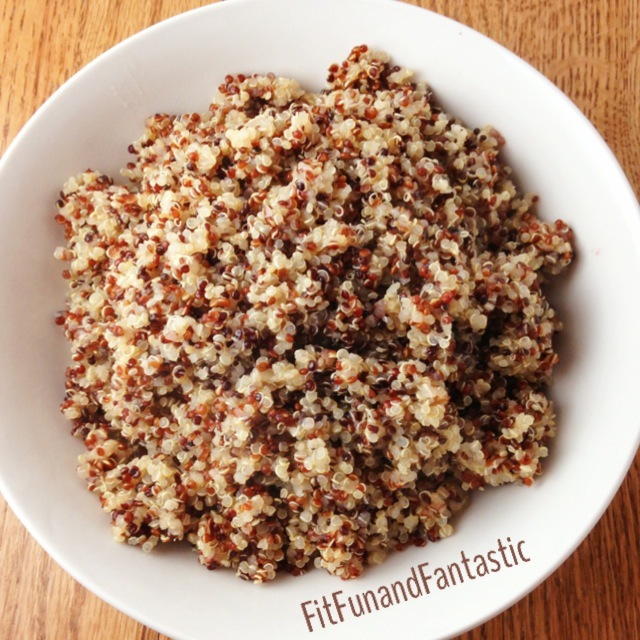 I usually make quinoa on Sundays because it is also a versatile dish. I can eat it plain, throw it in the stirfry or even have it for breakfast (one of my favorite breakfasts). 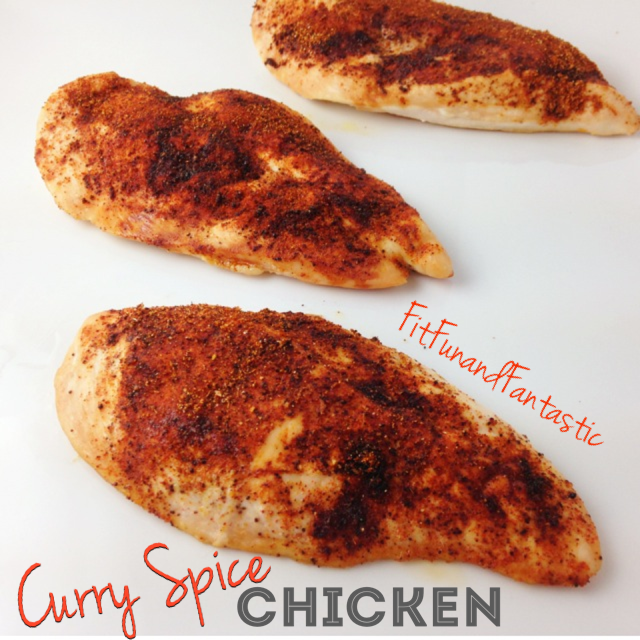 This Curry Spiced Chicken is great because it is soooo easy to make and works well in many dishes or just by itself. 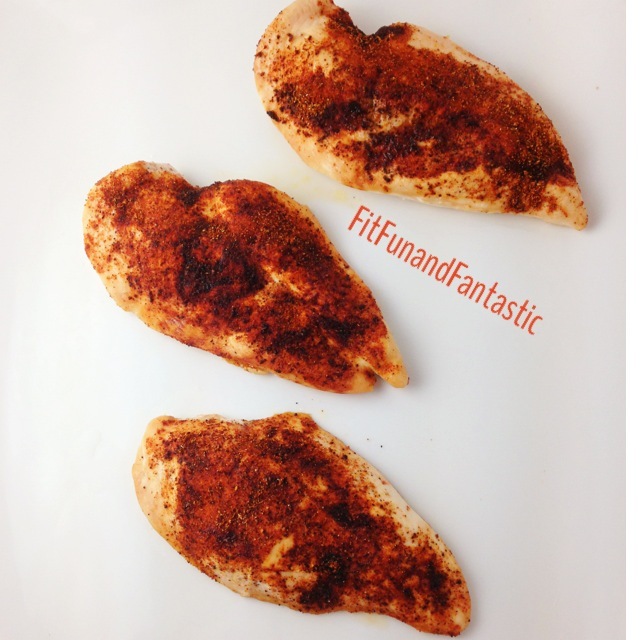 Mix all the spices together and rub the spices on top of each breast. Cook for approximately 35 minutes or until chicken is cooked through. Place water and quinoa into a pot on medium heat. Once the water begins to boil move to low heat and cover until there is almost no water left. 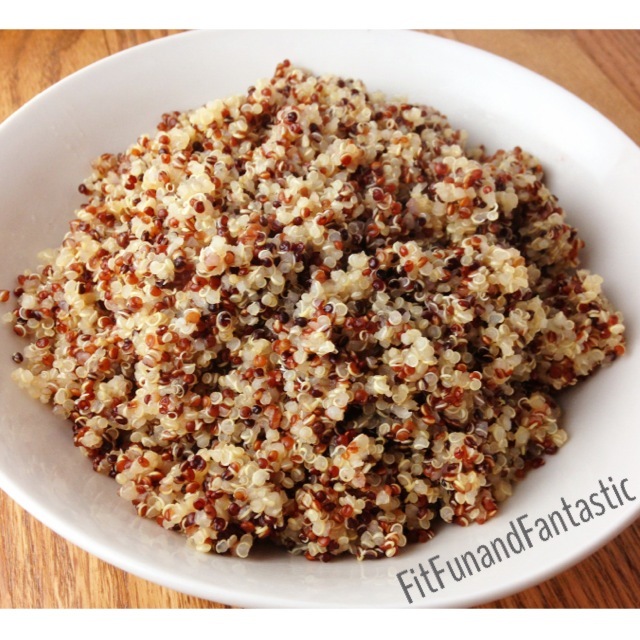 Only use chicken broth if you plan to use the quinoa in savory dishes. If you plan to use it for breakfasts as well use water.